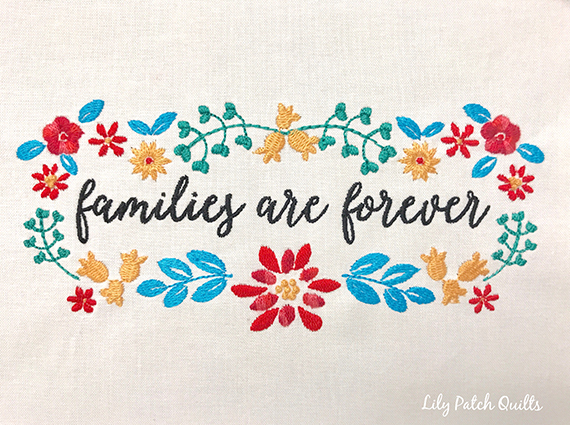 I managed to get a head start on my class assignments to squeeze in some time to test out this embroidery design from SewCanShe. This pattern will be available soon for free, I believe. The original design is 8" x 8" but Caroline re-sized it to fit my 5" x 7" hoop. If you have a larger hoop this design will be square. I love how it turned out. I used a variety of threads that I have on hand. The threads I used were Isacord, Aurifil and the black is Gutermann because I was thinking I don't need black Isacord since I wanted pretty happy colors..lol. Here's a short video of the embroidery process. Very cute design. I'm happy to see you having fun with your new machine. Great work Kim... such a good way to learn your machine!